What a wonderful mini! I'm sure the IG swap recipient will be very happy. 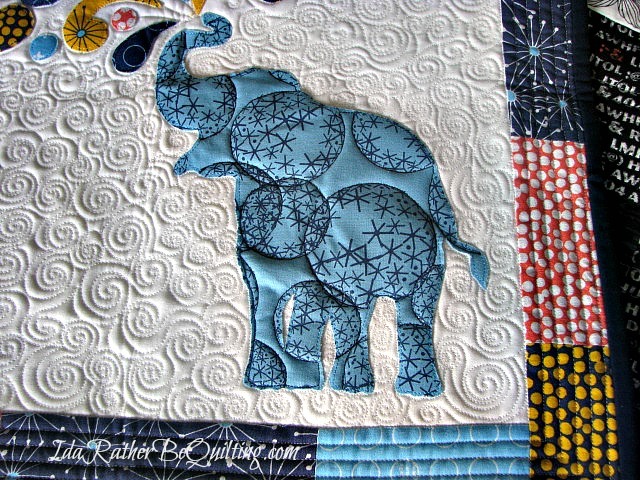 Love the fabric and your quilting. The double layer of batting has created amazing texture! Oh wow! Beautiful finish indeed! 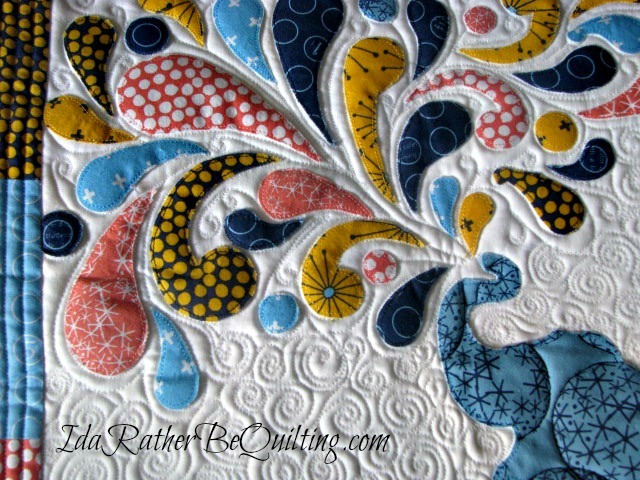 I really love the texture of the quilting, just gorgeous! It looks great and I love how it shows up on the back of the mini as well. Gorgeous. I'm sure your swap partner is going to love it. 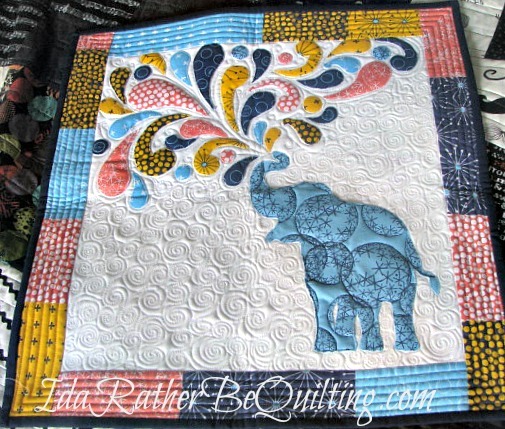 Your quilting is great-love your choice of designs. Your elephant mini is amazing! Your partner is going to love it! What a fabulous quilt! Great design, great color balance. What's the wool batting like? lighter in weight? And I absolutely love the quilting. Great decisions! This is adorable!!! Love the quilting...the back looks fab too!!! I love that we learning something from each quilt we do and get to apply that to the next quilt we make. Whoever receives this one will love it! It's adorable. I tried out wool batting for the first time, and I totally agree with you. I'll definitely be using it again. As for deadlines, well, they're tricky things, aren't they? I prefer self-imposed ones above all. Lovely quilt! Thank you for pointing out what you might have done differently - it's so helpful to learn these things. I think your swap partner will be thrilled to receive such a beautiful and unique piece. Fabulous mini! What a thrill for you swap partner to receive.